Deep River County Park is located along Old Lincoln Highway just north of US 30 in Merrillville, Indiana and is a part of the Lake County Parks Department in Northwest Indiana. This is a historic site that dates back to the mid 1800s when settlers traveled along the Sauk Trail heading to Chicago and Joliet from the east. Deep River was a small independent town in its day long before incorporating into much of the eastern portion of Merrillville. 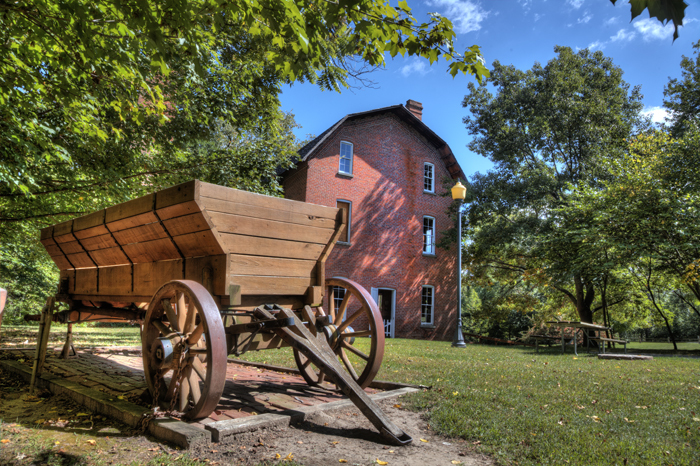 In this photo, a historic grist mill is water powered and is still active today. There are many other historic structures and areas within the park, including a sugar shack used to make maple sugar.